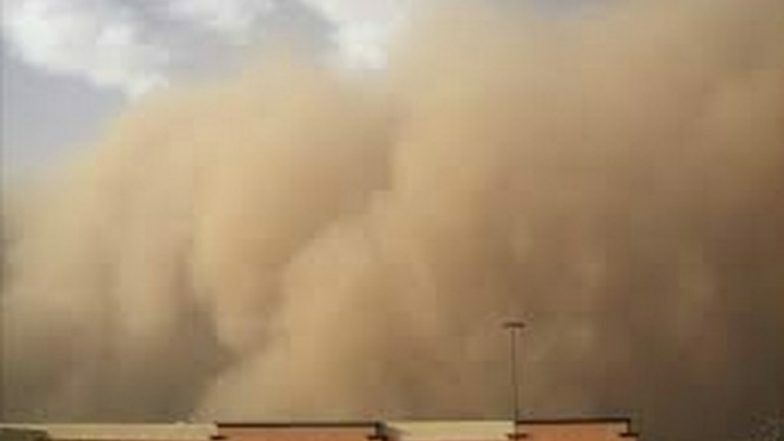 Karachi, April 15: At least five people, including two children, were killed in a dust storm accompanied by strong winds and light rain across Pakistan's Karachi on Monday. According to Pakistani media, more than 36 people have been injured in the storm. The winds were so strong that it uprooted trees, electricity poles, and hoarding in the different parts of the city, causing traffic jams. According to the Dawn report, a five-year-old minor was killed when she collapsed from the roof of a house in Haji Ibrahim due to strong winds. Another minor lost his life when a tree fell on him. It is estimated that the weather in Karachi on Tuesday will be the same with slight rain. Dust Storms, Rains, ThunderShowers to Hit North India From April 15-17, Predicts IMD. According to weather reports, the western disturbance is likely to shift to Indian states like Rajasthan, Punjab and Haryana. The rain is likely over the western parts of Rajasthan, and most parts of North Indian states Haryana and Punjab. The rain will be accompanied by a violent dust storm and thunderstorm with wind speed up to 50-60 kmph.